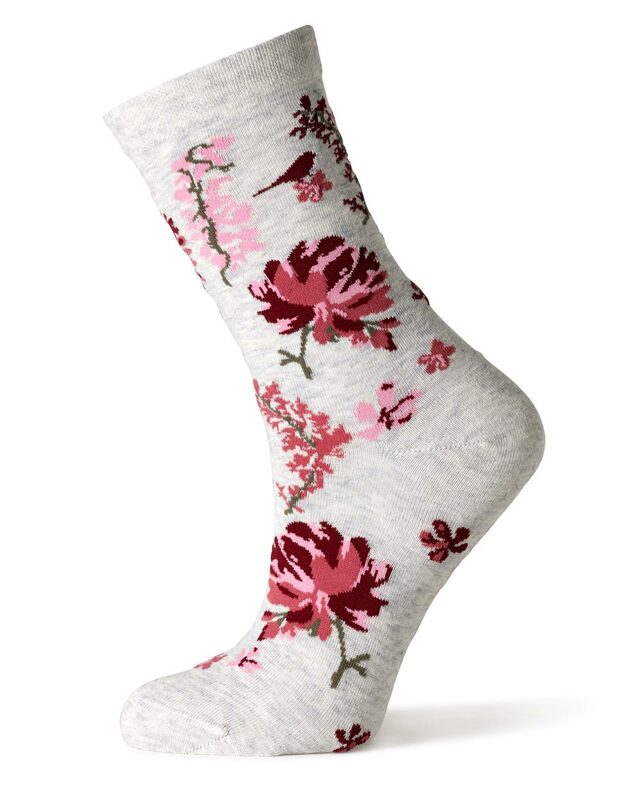 Socks to be seen in with added glamour. Very fine knit with a glorious two tone sheen , so soft, light and comfortable to wear. Perfect for that special occasion. 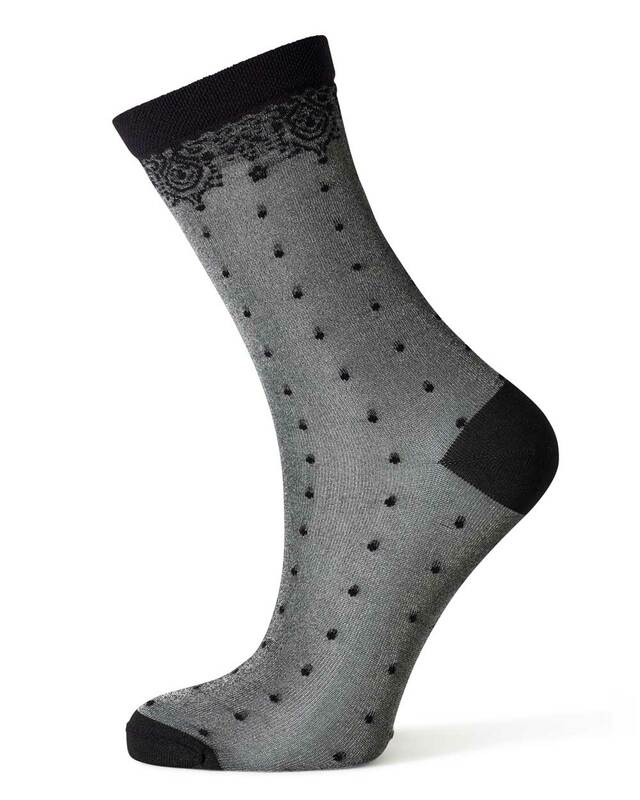 A beautiful glossy sock and a great alternative to your everyday tight socks. With a fine almost opaque knit. Great with heels and lace midi skirt. ‘Must have’ socks to suit every daily activity. 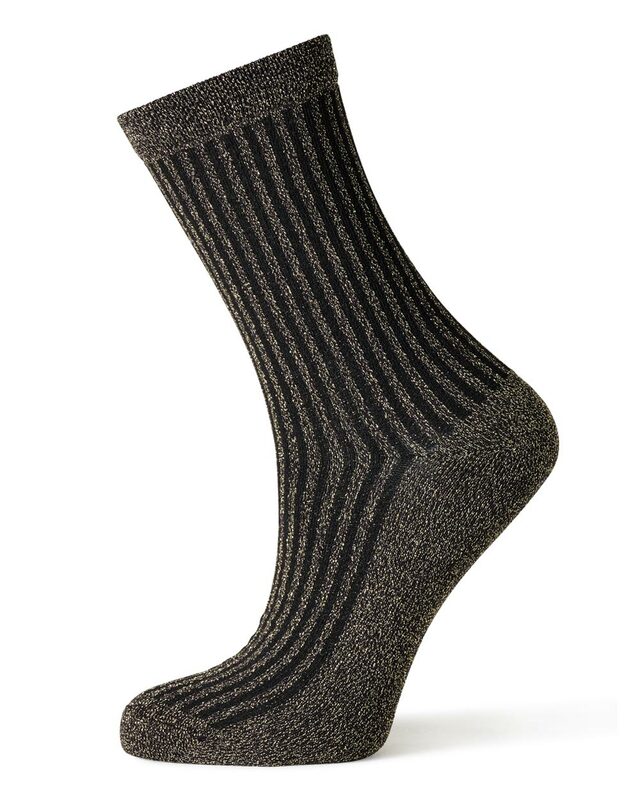 This sumptuous sock, simple in its origins, has a hint of soft sparkly lurex in the welt. We have made this a slightly heavier knit for warm & cosy toes. This is the one we all need in our sock drawers ! 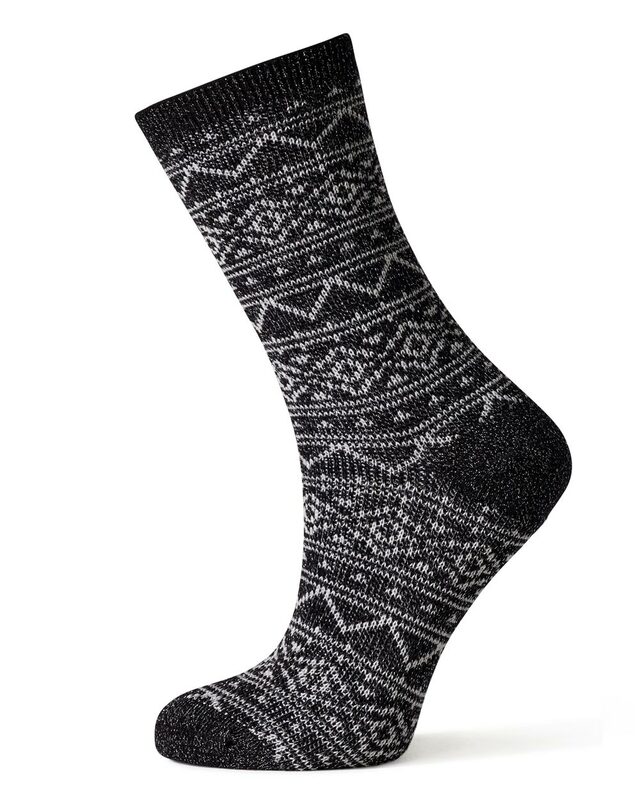 Fairisle is always in fashion, especially on those long cold winter days. Wear with your autumn brogues or out walking the dog. A log fire burning and toes curled up with a hot toddy – scrumptious !! Smart, sophisticated and versatile from day to night. 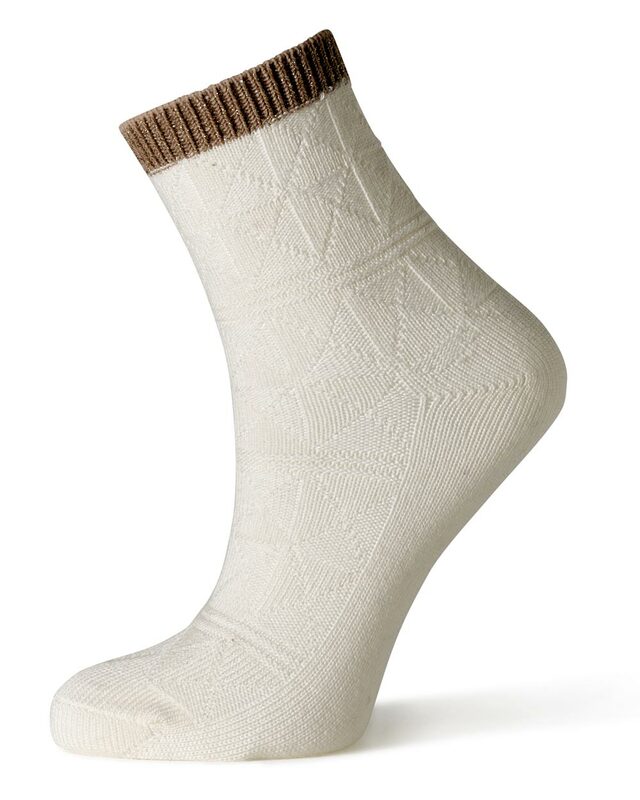 Show off these very versatile and easy to wear socks , glamorous but practical. Fine knit long staple cotton. This beautiful on trend , oversized floral is also in the seasons hot plum & claret colours too. Technical and luxury alternative for running to pilates. 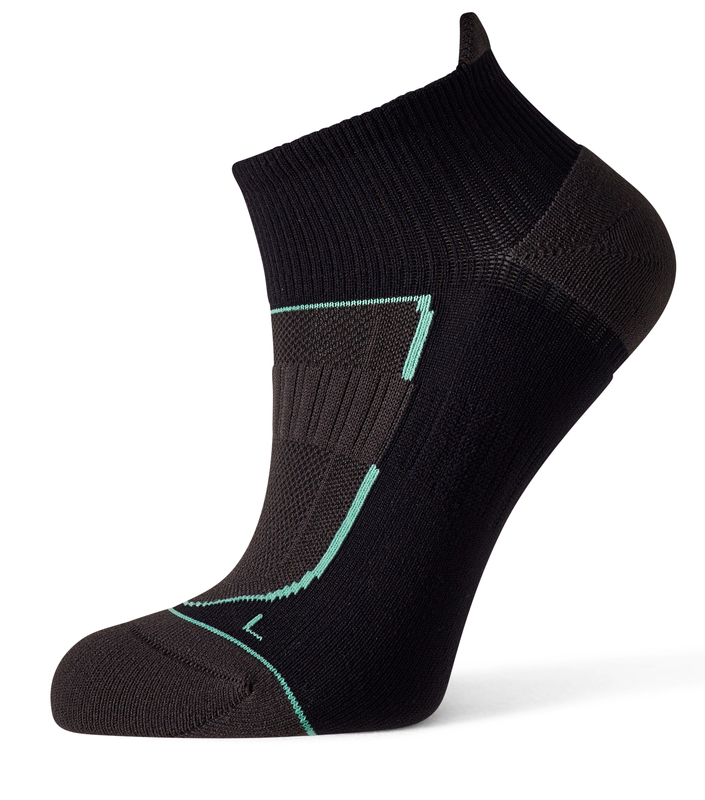 Get those muscles lean whilst wrapping you feet in the luxury of fine merino wool, with added gripper support underfoot. All the technical knitted detail you could want. Supportive, comfortable & great design detailing. Working out doesn’t mean putting up with uninspiring socks. We wanted to create a collection that would cover all aspects of your life. Firstly we needed to define what would be special to you. We knew you would be amazing women with your own opinions and sense of style and that you would often juggle career’s, home and family life, with some entertaining and relaxations thrown in. 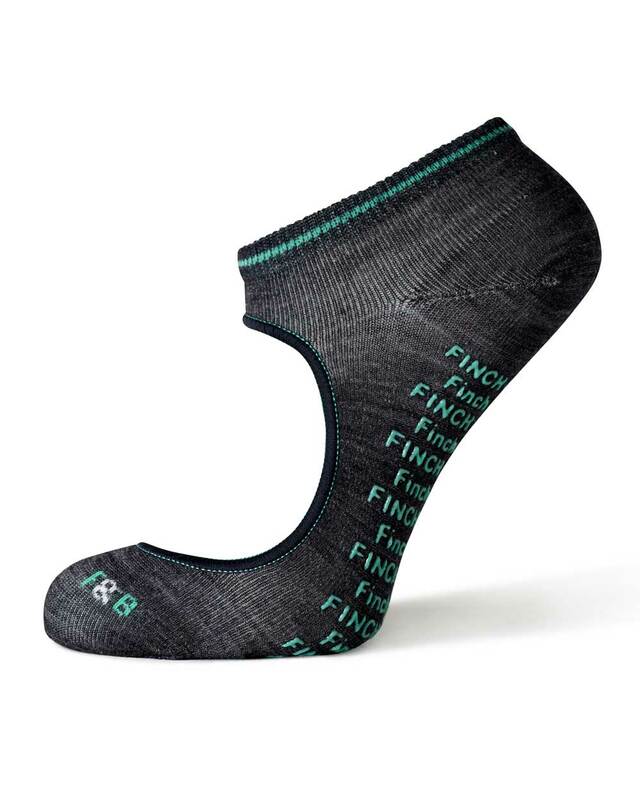 Please enjoy our website and we hope you decide to start collecting your very own Finch & Belle socks.